All the competitions we hold throughout the year are listed below and the ones that have been completed will include the results. You can click on each Competition to obtain additional information. .. Click to find out How .. 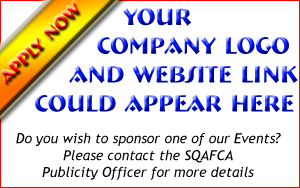 Description : This event will be conducted at Moreton Island and is open for all affiliated members of SQAFCA to enter. Please contact your club secretay to nominate for this event. Description : This event will be conducted at Bribie Island on the 9th of September 2018 and open to all affiliated members of SQAFCA to attend. Please contact your club secretary to nominate. Description : This competition will be conducted at Jumpinpin and the Broadwater and is open to all affiliated members of SQAFCA to enter. Please contact your club secretary to nominate.